Yep, they pulled together to send their mama and daddy on a date! Such sweet kids! We had a great time out for lunch. 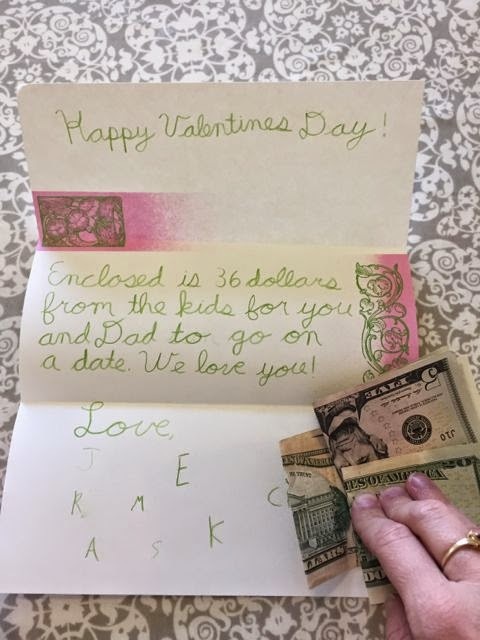 We have the best Valentines!